Kortney has been a clinical physician assistant for 13 yrs. When not being a PA, Kortney’s hobbies include writing, research, and investing. What is Facet Mediated Pain? When someone is suffering from lower back or neck pain, there are several potential causes for that pain. In order to understand facet mediated pain (or pain that originates at the facet joint), it is first necessary to understand what a facet joint is. The spine is made up of several bones that are aligned in a vertical manner. These bones are called vertebra. Each vertebra is made up of a vertebral body and a central canal or round opening through which the spinal cord travels. The areas around the spinal canal are referred to as pedicles (right and left) and lamina (posterior). Posteriorly, there is a spinous process, which is a bony projection from the lamina. There are transverse processes that extend out from the pedicles on both sides (right and left). Between each vertebra, there is a disc, which is a cartilaginous, jelly-like substance that provides cushioning between each vertebral level. There are ligaments that attach the spinous processes and lamina of each level and ligaments that run along the vertebral bodies and intervertebral discs connecting the levels together. In between each vertebra, there are intervertebral foramen or openings where the spinal nerve roots exit the spinal cord and travel down into the arms (cervical) or legs (lumbar). In addition to the discs and ligaments, the vertebral levels are connected by facet joints. Each vertebra has four articular facets, which connect one vertebra to another vertebra. Two superior articular facets (right and left) connect a vertebra to the adjacent vertebra above it and two inferior articular facets (right and left) connect a vertebra to the adjacent vertebra below it. The point where the facets meet between each vertebra is referred to as the facet joint. Each vertebral level of the spine has right and left facet joints where they connect with the levels adjacent to them. The cervical spine is made up of 7 vertebral levels, referred to as C1 (also known as the atlas), C2 (also known as the axis), C3, C4, C5, C6, and C7. The thoracic spine contains 12 vertebral levels, referred to as T1–T12. The lumbar spine is made up of 5 vertebral levels, referred to as L1–L5. There is also a sacral level, which is referred to as S1 that is just below the L5 level.Facet joints are located between each of these vertebral levels. The facet joints are primarily made up of bone and can degenerate or become arthritic over time. As they degenerate, they become bumpy, rough, sharp, and jagged. When this happens, it can cause pain with motion, particularly with backward extension and rotation of the spine. The most commonly affected levels are the lower levels of the lumbar spine, referred to as L4-5 and L5-S1 facet joints (right and left sided). Facet mediated pain is literally pain that originates at these facet joints due to degeneration of the joint, abnormal alignment of the spine, scoliosis, disc changes, etc. It can be either a degenerative process that develops over time or a result of an acute traumatic injury. Either way, facet mediated pain can be quite painful. What Types of Treatment Are Available for Facet Mediated Pain? Typically, initial treatment would include a course of physical therapy, exercise, and/or chiropractic treatment paired with the use of nonsteroidal anti-inflammatory medications (ibuprofen, Naproxen). 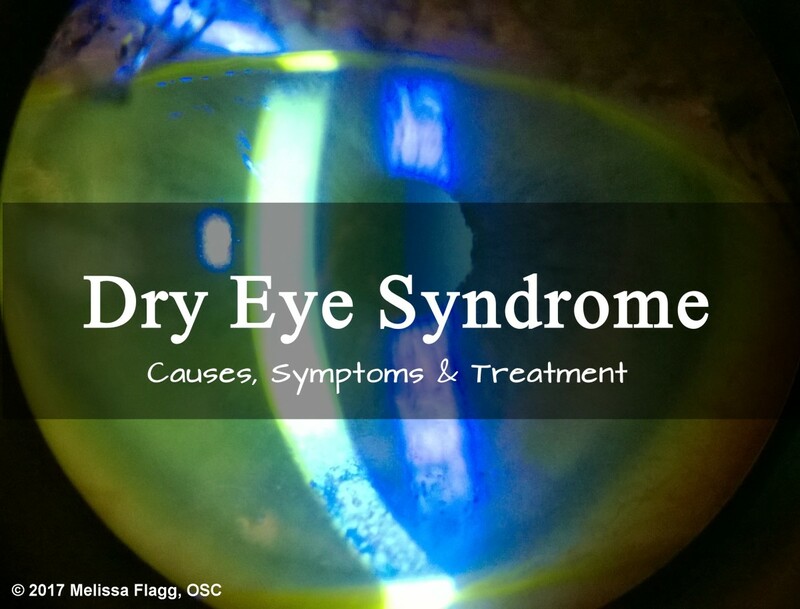 If this initial treatment fails to adequately relieve symptoms, the next step could be injections. Physicians will typically obtain an imaging report, such as x-rays or an MRI first before administering injections. Facet injections are usually administered in an outpatient surgical setting or in the physician's office as long as there is a sterile environment. The physician will numb the area and then place a long needle into your neck or back while using a type of imaging modality that is similar to ultrasound (fluoroscopy) to visualize the needle and to ensure that the correct area is chosen for injection. An injection can be administered directly into the facet joints or it can be administered to the medial branch of the nerve that innervates the joint. Either way, the goal is for the injection to provide both immediate relief of pain and then long-term benefit. How Do Facet Injections Work? Facet injections are typically administered for one of two reasons: 1) Diagnostic purposes; 2) Therapeutic purposes. When being administered for therapeutic purposes, these injections are generally only capable of providing short-term relief of pain. However, if there is a diagnostic response to facet injections with evidence of pain relief, then patients can be considered for a radiofrequency ablation procedure at the facet joints. During radiofrequency ablation, the nerve that innervates the facet joint is burned with a hot coil with the intention of causing it to lose its ability to cause painful sensations. When this treatment is administered, patients can expect more long-term pain relief, typically for 3–6 months or longer. In some cases, pain can return in six months because the nerve can regenerate. When this occurs, the typical recommendation is for repeat radiofrequency ablation, as long as there was significant relief of pain and improvement in function with the initial procedure. I am currently working as a physician assistant and have been working in occupational medicine and orthopedic surgery for the last 13 years. My current job entails peer reviews for medical treatment requests within the workers' compensation industry throughout the United States, but with a focus in California, Massachusetts, Louisiana, Texas, Tennessee, and New York. I have seen tens of thousands of cases of chronic lower back and neck pain in the last 13 years. In my experience, patients who continue to have pain despite physical therapy, activity modification, and medications, may feel somewhat frustrated with the persistence of their pain and overwhelmed by the various potential treatment options that are currently available. In my other articles, I have written about various treatments for chronic pain, including epidural steroid injections, topical medications, oral medications, and ergonomic updates. This article focuses on facet mediated pain in the neck and lower back and the indications, outcomes, risks, etc. 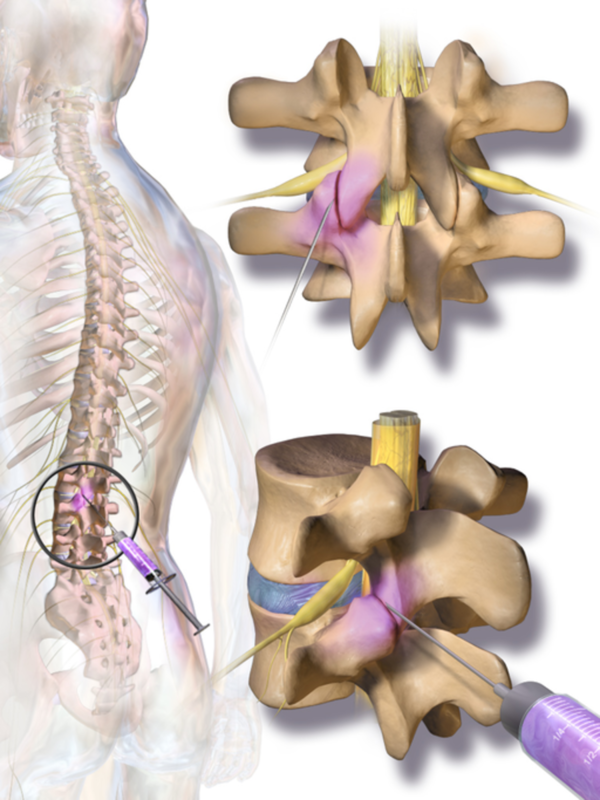 of facet injections for neck and lower back pain. Please feel free to leave a comment at the end of this article if you are in need of information on any other specific treatments for chronic pain or orthopedic injuries (knees, shoulders, back, neck, wrists, ankle, etc.). Have you suffered from neck or lower back pain? What treatment has helped you the most? I am five weeks out from a Radio Frequency Ablation with no pain relief. I have talked to the nurse three times over this last weeks and she just tells me that the RFA usually doesn't kick in until the third or fourth week. I am becoming increasingly frustrated and tired of the pain. I take Neurontin twice a day and Tylenol as needed. How do you think I should proceed? If you haven't had any pain relief at three to four weeks following Radiofrequency ablation, it is possible that your pain is not coming from the facet joint that was treated. I would make an appointment with your doctor to discuss this. Radiofrequency ablation is a procedure that burns the nerve in the facet joint. Once that nerve end is burned off, there should no longer be any painful signals sent to the brain. I typically consider this procedure to be unsuccessful in any patient who has not had relief within the first one to two weeks after the procedure. It is likely that there is something else that is causing your pain. Why would my doctor want to do two medial branch nerve blocks before a radio frequency? Typically, doctors want to make sure that the facet joint is the cause of your pain before going in and burning the nerve supply to that facet joint with the radiofrequency ablation. The first injection is usually with a short-acting anesthetic, such as lidocaine, to determine if there is immediate relief of pain after the injection. If there is a positive response, then a second injection is administered at a later date using a different, more long-acting anesthetic, such as bupivacaine. This helps to rule out a false positive response to the initial injection. If there is a sufficient amount of relief with both injections, then it is more likely that the facet joint is the cause of the pain. After RFA, How long to see if it worked? Usually, patients experience immediate pain relief after RF ablation. The procedure is supposed to burn the ends of the nerves, which would result in that nerve not being able to send painful signals to your brain. Once the nerve regenerates, pain can return, but this usually doesn't happen until about six months or more after this procedure. If you aren't having immediate relief of pain after undergoing RF ablation, then there could be another cause for your pain. You should talk to your doctor about what else could be causing your pain. I have been having lower back pain for a while. My doctor gave me pain meds that relieved the pain for a certain amount of time. I can't bend forward or backward without the pain, and I have to sleep with a pillow under my back to ease some of the pain. Can you please recommend what I should do to get back to myself pain-free? I work with disabled individuals, and I can't work with this pain. Unfortunately, there is not a simple answer to your question. I have learned over the last 13 years of working in orthopedics that treatments and treatment responses can vary significantly among patients. 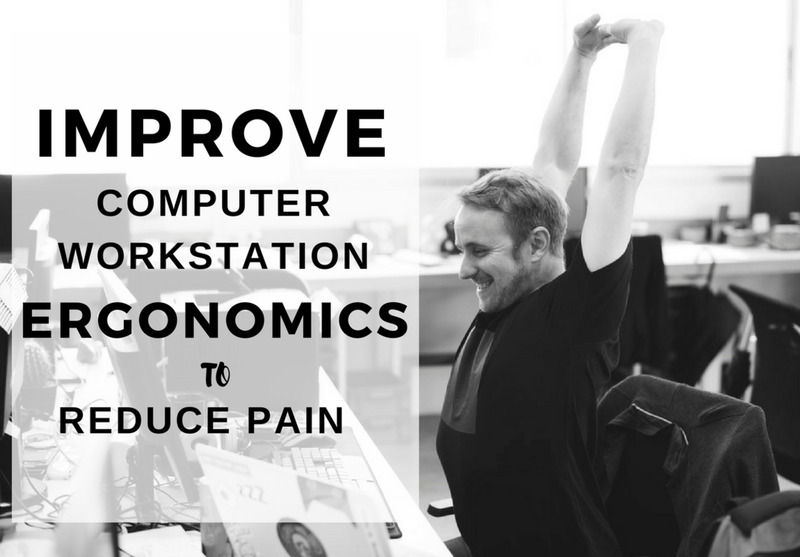 What works for one person with back pain may not work for another. If you are not responding to medications, have you been referred for any therapy, such as physical therapy, chiropractic therapy, or acupuncture? All of these are typically recommended on an initial basis before injections. If you have tried therapy without success, I would talk to your doctor about how much pain you're having. If you didn't already have an MRI, that would most likely be your next step. If you do have pathology on the MRI, your doctor will then be able to recommend injections, alternative treatments, or possibly surgery. I understand how you must be feeling, and I'm very sorry that you haven't found any treatments yet that have worked. My recommendation would be to be very honest and frank with your doctor about how much pain you are in and hopefully, he can refer you for imaging, treatments, injections, or to another doctor who can help. I wish you all the best. Feel free to ask another question if I haven't answered this question adequately. 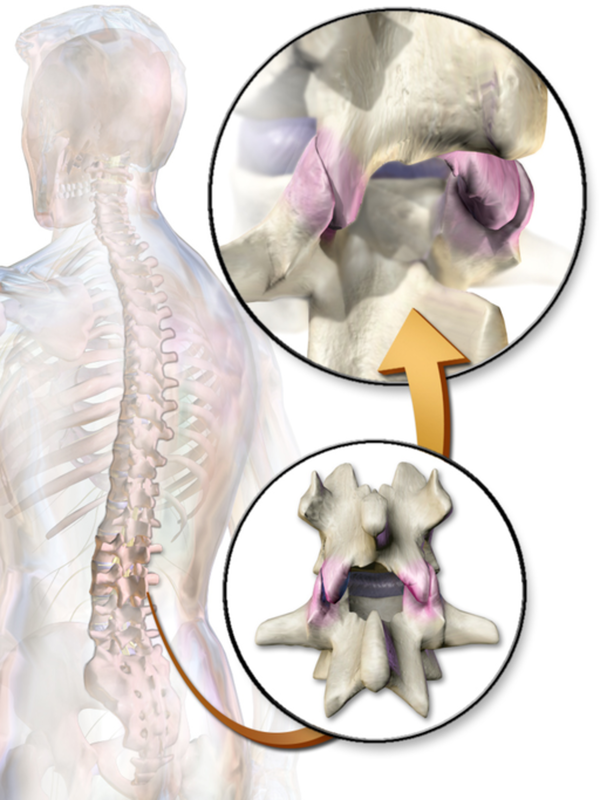 Vertebroplasty is performed when you have a compression fracture of one of your vertebrae (or spinal bones). This is more common in post-menopausal women with osteoporosis. The vertebral bone is compressed, resulting in a fracture. During a vertebroplasty, bone cement is placed into the vertebral bone. The cement then hardens and stabilizes that fracture. Hi Barbara! This type of treatment/injection is usually administered by a pain management physician or a PM&R physician. In some cases, you won't be able to just call a pain management doctor and ask for an appointment because they want you to be referred to their office by an orthopedic doctor who has already evaluated your condition. However, if you want to try, you can call some pain management doctors in your area. Otherwise, I'd ask your primary care physician or your orthopedic doctor if they will refer you so that you can talk to a pain management doctor about this treatment. I wish you the best! Hi Kortney, wow! Thank you so much for the very detailed answer back to my question. You answered it perfectly! It has definitely opened up my eyes more to this procedure and how you would also look into alternative causes of their pain. Thank you so much again. Hello Albert Neal! Thank you for reading my article and for sharing your story with me! I’m sorry to hear about your experiences with spinal disorders. I have been treating patients with chronic pain from spinal disorders for a long time, so I understand what you have been going through. I am happy to hear that you found treatments that work for you! I really appreciate your feedback and thank you again for sharing your story! Hi NewLifeOutlook! Thank you for leaving a comment. I would like to clarify with you what treatment is expected to provide 3-6 months of relief. Most patients are first administered a facet injection which includes a steroid and a local anesthetic or a facet injection with just a local anesthetic. The purpose of the first injection in most cases is to see if there is relief of pain so that patients can be considered for radiofrequency ablation, which is a procedure that involves a hot coil that burns the nerves in the facet joint and stops them from delivering painful sensations. In my experience, a facet injection with local anesthetic only provides relief for several hours or up to 2-3 days. A facet injection with local anesthetic and a steroid may provide relief for 2-6 weeks or longer in some cases. It is the radiofrequency ablation that is capable of providing more long term relief of pain for 3-6 months or longer in some cases. However, I have also seen patients who had return of pain within 1-2 months after the procedure. In patients who have an early return of pain, I typically would consider an alternate cause for their pain, such as pain from degenerative discs, spinal stenosis, instability of the spinal vertebral segment, or possibly even pain that comes from the sacroiliac joints. If you have had a radiofrequency ablation and have early return of pain, I would encourage you to discuss the possibility of another cause of pain with your doctor. Alternatively, if your doctor administered facet injections only and you had short term relief of pain, I would suggest discussing radiofrequency ablation with your practitioner. Good luck, I wish you the best! Ms.Tholen: Excellent article, thank you.Although familiar with most of the listed treatment modalities, I still learned more from you. I had an incomplete fracture of C-3 with 10 compression fractures in the lumbar spine. Focused exercise, physical therapy and injections as well as medications have all helped. Great hub Kortney! I just have a quick question about the longevity of facet injections. You said that it is administrated every 3-6 months. Have there been any cases where a patient has needed to come back earlier than three months to get another shot?